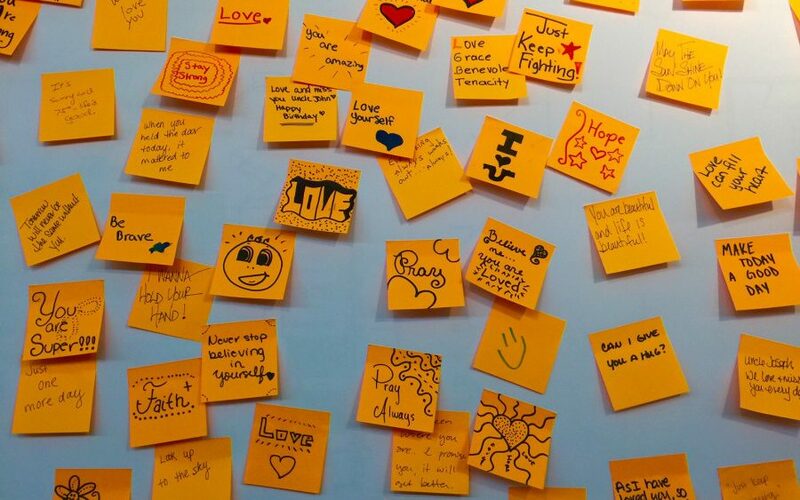 What IF a sticky note could save lives? Suicide is the second biggest cause of death amongst young adults in Western countries. 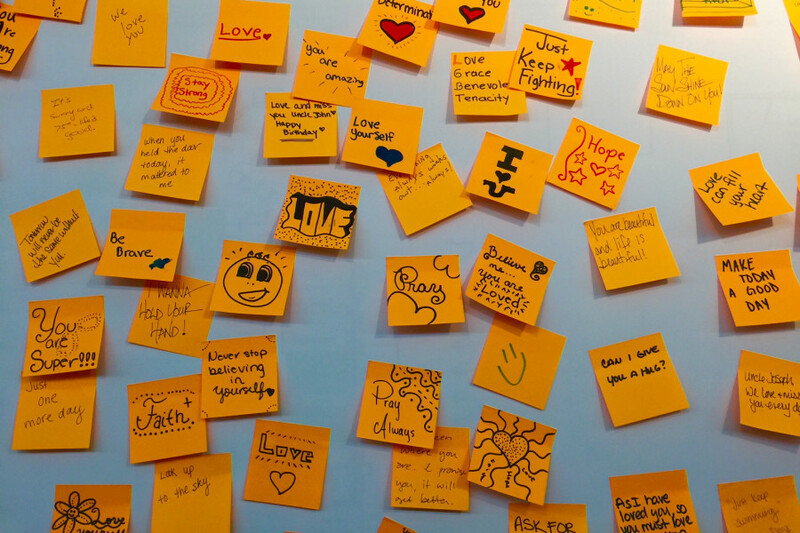 During a workshop with McCann Health, our students shared handwritten messages with young people in despair. 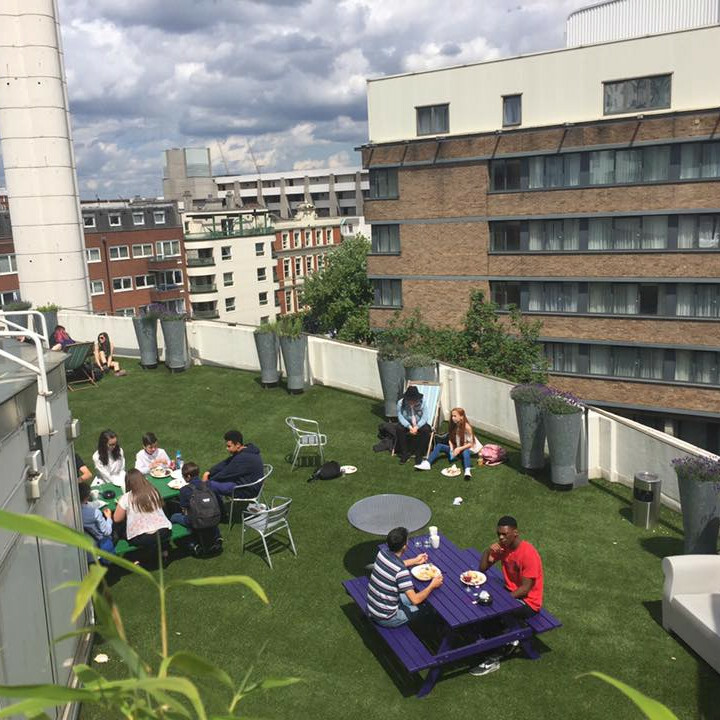 Could our students in London and Manchester compete with McCann’s own interns to come up with a life-saving website idea that would raise awareness, and spread the word even further by earning a place in the Guinness Book of Records? 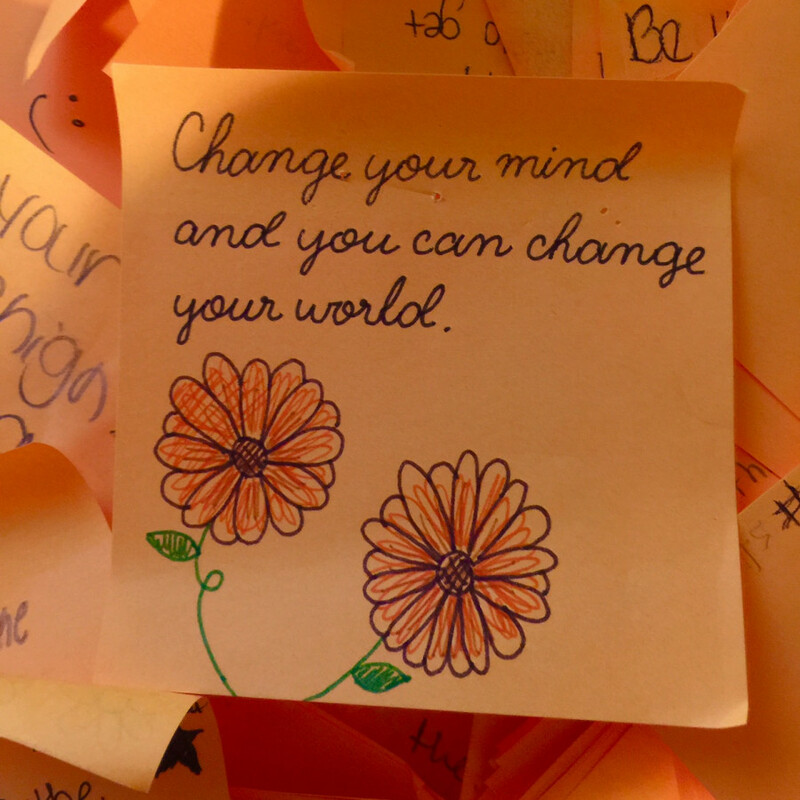 The site collected a record breaking 34,000 handwritten sticky notes – each from a young person sharing words of hope with another. In a first for us, we partnered with comms agency, McCann Torre Lazur Health in New York to set our challenge over Skype (before the New York creatives flew to London to judge the final pitches). Teams from TheSound supported our students in the UK, helping them incorporate data insights into their campaign. The project was sponsored by The Creative Floor and was such a success that our work was recognised at The Creative Floor Healthcare Awards. It’s not something most of us want to think about, but it is important. Have you noticed these changes in someone you love? Are they more agitated than usual? Do they seemingly ‘explode’ at small things? Do they tell you that they haven’t slept and get cross quickly? If they were always friendly and sociable, do they now seem more withdrawn? Have they been missing school, or keeping away from their friends on the weekends? Have they stopped looking after themselves? Does it look like they’re showering less and drinking more? Are they taking drugs? Do they talk about suicide? If they were optimistic in the past, do they have less to smile about now? Do they talk about hopelessness, or say that the world would be better off without them? If you don’t feel ready to talk to your friend, talk to someone who can help.